33. Maffeo Polo Marco's coward uncle is somehow even worse than his father, so I guess we can all be glad he didn't show up in season 2. 32. Orus Kaidu's son thinks with his biceps, which is good, considering Jingim smashed his skull in. 31. Bai Got cut down while trying to say something mean to Mei Lin. It was delightful. 30. Niccolo Polo I should hate him for being a total jerk in nearly every scene he has, but that part where he very smoothly killed a bunch of Mongol soldiers forced me to very begrudgingly respect the dude. 29. Boy Emperor It's difficult to judge a very young but important character played by a blank-faced child actor who clearly wasn't prepared to actually have to read lines. Oh wait, maybe I just did judge him. But I guess we probably all agree that his murder was bad. 28. The Blue Princess I know she was just an illusion, but she shouldn't have been so mean to poor Kokachin. 27. Kaidu's evil mom Pretty sure she hates everybody, even her family. That's makes her a Certified Bad Person. 26. 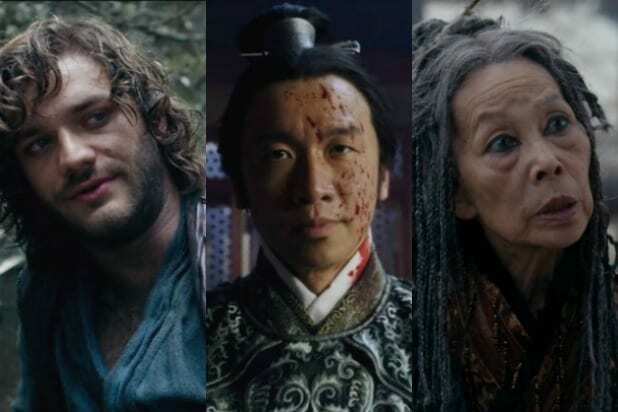 Empress Dowager "Marco Polo" tends to be very reluctant to kill off major characters, especially "good" ones, so the Empress' death in season 1 was kind of a big deal. She didn't really manage to accomplish much, but that's pretty much how it's been for everybody from the Song Dynasty. 25. Ariq Bloke Deserves props for rebelling against Kublai before it was cool, even if all he got out of it was a mostly severed head. 24. Kaidu If, in your quest for power, your mom suggests you do a bunch of drugs and walk naked on hot coals, maybe you should just call it a day. You're not a bad dude, Kaidu. Relax. 23. Gerel Had the great honor of having his group be the first to be wiped out by Prester John. Otherwise, didn't do much. 22. Stable boy Got to secretly bang Kokachin thanks to Chabi feeling the need to arrange a clandestine surrogate father for Jingim's kids, what with Jingim apparently shooting blanks. So he got to be father to the future Khan. Though also he got murdered for that, and also nobody will ever know about it. Wah wah. 21. Ling-Ling Mei Lin's daughter, whose sole purpose in life is to be held hostage by everyone as leverage over Mei Lin. 20. Arban Hard to respect a waffler like Arban, who spent all of season 2 changing his mind about whether he wanted to support Kublai or Kaidu at the kurultai. But, to his credit, he did eventually see through Kaidu's incredibly transparent and bad schemes. 19. Jing Fei Was not extremely good at lying, but she gave it her best shot. Also had enough dignity to not let Jia Sidao kill her after he found out about said bad lying, taking matters into her own hands instead. 18. Za Bing Notable for being the first character I've ever seen on a TV show who pees through a straw on screen. I think. 17. Yusuf It seemed noble at the time when he took the fall (and was executed) for some bad stuff Marco was accused of doing. Of course, when that means Ahmad, the actual perpetrator, gets away long enough to pull a coup, maybe it wasn't so noble after all. 16. Tulga Kokachin's lover from back in the day before she started pretending to be a princess. Unfortunately, Tulga didn't pretend to be a prince, so his days were numbered from the moment he showed up. Rookie mistake. 15. Kokachin A peasant pretending to be a princess, Kokachin totally isn't prepared for life in the spotlight and cracks under pressure in season 2. Thanks to the groundwork laid in season 1, though, we totally feel for her. 14. Khutulan Even as she sees him give into peer pressure, Khutulan tries to be a good daughter to Kaidu -- especially after he pulls the unprecedented move of naming her his heir. She really shoulda just slapped him around, though. Instead she was pretty passive all season and didn't help much. 13. Nayan Caught between family and his faith, Nayan chose the latter -- but it didn't work out for him or anyone else. But, hey, I guess he gets to go to heaven, if the Pope is to be believed. 11. Byamba When he finds out his girlfriend Khutulan is Kaidu's heir, he gets all patriarchal and jealous about it. I swear he's a good guy when he's not being a sexist clown. 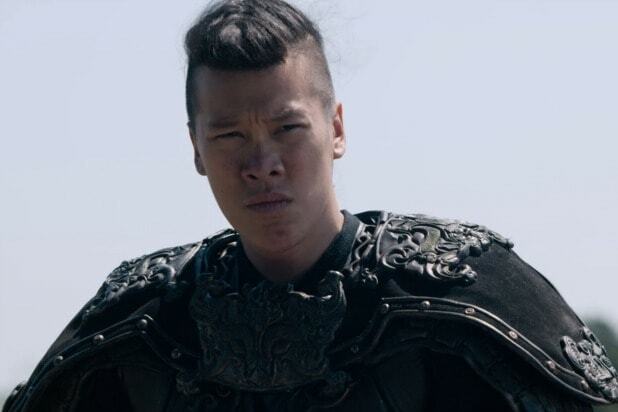 He only gets ranked above Khutulan because he gets a lot more done in season 2. 10. Empress Chabi Mom to everybody on "Marco Polo." Pretty much just wants everybody to be happy and get along. She's so disappointed in everyone. 9. Prince Jingim Grew up a lot in season 2, but still seems incapable of fathering children. But that doesn't really matter, since it seems his true love is Marco anyway. 8. The Pope The showrunners on "Marco Polo" brought in Pope Gregory X to tell Christian Mongol Nayan that he risks eternal damnation if he doesn't murder Kublai. Maybe they were laying it on a little thick with the modern-day social commentary, but it works. You can't help but dislike this goober, even while you love him. It's similar to how we all felt about the High Sparrow on "Game of Thrones." Also Read: ‘Marco Polo’ Fact Check: Did the Pope Really Send Crusaders Against Kublai Khan? 7. Marco Polo The focus of the show shifted away from him in season 2 (the show is, technically, named after his book, not the person himself), which really made his whole drunk and cranky thing kind of fun instead of annoying. He was a bad main character, but he's fine as a wild card adventurer. 6. Lotus You didn't know you wanted Michelle Yeoh to show up out of nowhere as a medieval Chinese Terminator, but now that it's happened, I can't help but want more. 5. Jia Sidao One of the few characters built to just be hated, Sidao is actually pretty awesome until he gets what's coming to him. If he had a mustache, he'd have twirled it in every scene. 4. Hundred Eyes Already a great character, the blind warrior monk upped his game in season 2 by cracking a ton of jokes and kissing a lady. And he continues to not be treacherous toward anyone -- he kinda stands alone in that regard. 3. 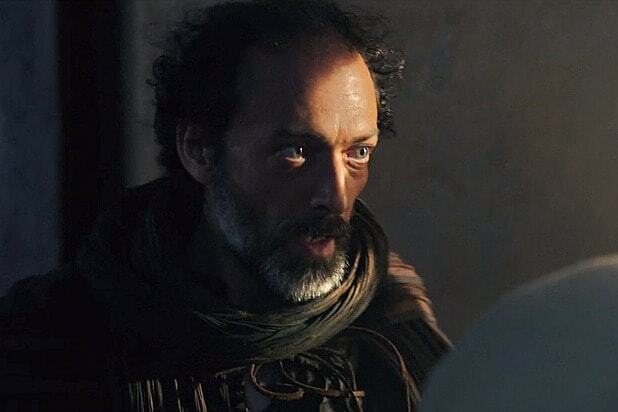 Prester John He's, delightfully, the first straight up magical character on "Marco Polo," and there was far too little of him in season 2. But assuming a season 3 is on the way, that should be rectified in the future. Also Read: ‘Marco Polo': Who Is the Mythical Christian Warrior Prester John? 2. Kublai Khan "Marco Polo" is Kublai's show, and he's wilted under the spotlight by making one bad decision after another. But, like, they were mostly reasonable decisions, at least. Mostly. Also Read: ‘Marco Polo’ Fact Check: What Really Happened With the Child Emperor of the Song Dynasty? 1. Mei Lin In the awkward position of being caught between basically every different faction on the show and having no tangible reason to be loyal to any of them, Mei Lin nonetheless manages to only murder people who have it coming. You could make a convincing case that shes' the real hero of "Marco Polo," even though she operates on the fringes of it most of the time.